The library in the Burke Mountain Club House was started in 1872 by a dedicated little group of women who formed the Ladies Library Association. They donated a few books which were kept in the home of whichever member was designated librarian. They spent a good deal of time and effort raising money to buy books that the children of East Burke could enjoy. In 1922 when Elmer Darling built the Clubhouse, the library was given a permanent home. The books were placed in the building for the use of the community. The library also houses some of Elmer Darling's collection of books. 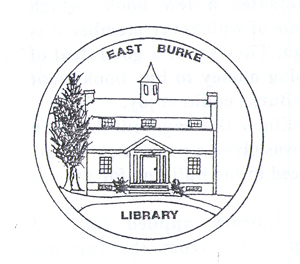 In 1990 the library changed its name to the East Burke Community Library. The name change came about because of the implied discrimination against the male population. The library has received money from various sources. In 1970 Della Marshall left $1,000 in her will to the library. There were not any restrictions on the use of the money. In 1985 Toni Shapiro gave a gift of $500 in memory of Phyllis Bentley. The gift was to be used as a means of bringing more people into the library. The money was used for children's books and programs. An anonymous donation in 2002 was used to purchase new chairs for the library. Various people have donated books, the Town of Burke has appropriated money to buy books, and books have been given to the library in memory of loved ones. The library continues to be supported by donations of books and money from the community. The library is under the care of librarian Charlotte Downes, who oversees activities and special events, as well as the selection of new books. 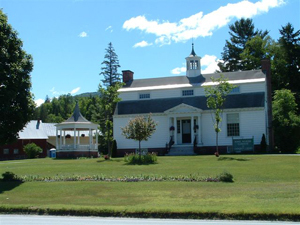 The East Burke Community Library currently has the best collection of current fiction authors at a small library in northeastern Vermont. Library activities include reading groups, craft groups, discussion groups and a children's reading hour. The Library phone # is 626-9823.